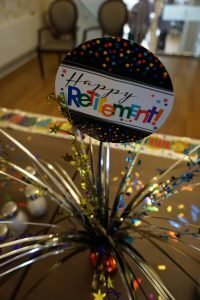 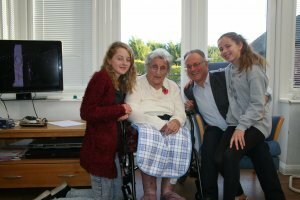 We shared a very special morning with the residents on Sunday at Valerie Manor – It was so lovely to see so many generations reflecting and Remembering together. 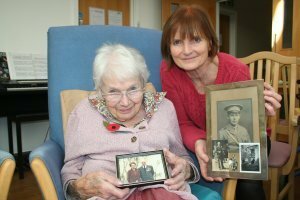 One of our residents was wearing her fathers regimental badge from the First World War and watched the service in the conservatory with her daughter with photographs of her father and her late husband who also served in the Second World War. 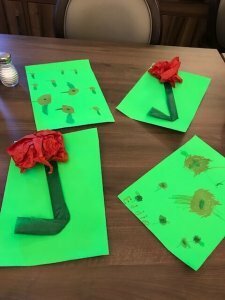 My Nephews Reuben and Eddie also made some pictures of poppies for the residents throughout the morning and our Tower of London Poppies kindly donated by a relative were proudly displayed for everyone to see. 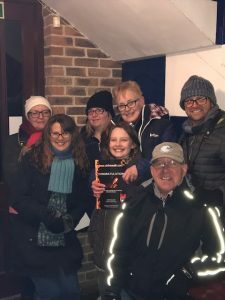 Emma & Debs – Firewalk! 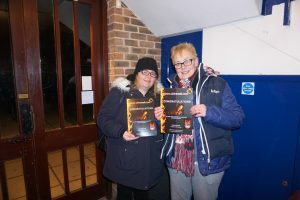 Last Saturday Emma & Debs undertook a Fire walk in aid of St Barnabas House. 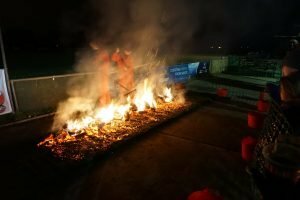 Despite the cold weather a large crowd watched as around 100 people walked on hot coals at Worthing Rugby Club. 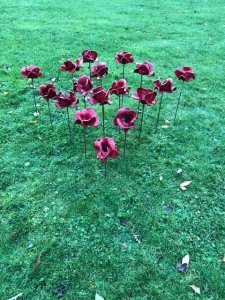 The amount the ladies have currently raised is approaching £500 which is brilliant and thank you for everyone who has donated it is very much appreciated. 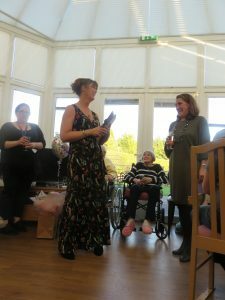 Very well done Emma & Debs we are all very proud of you!